A complete smile makeover in Costa Rica is very popular. San José, Costa Rica is a beautiful city and the main destination when having a complete smile makeover in Costa Rica because of its state-of-the-art dental centers and exceptional board certified dentists. Designing the perfect smile is equal parts art and science. Starting with a comprehensive smile makeover treatment plan, dentists carefully evaluate your teeth, gums, jaws and facial structure. Among the choices to achieve the perfect smile makeover are teeth whitening, dental veneers, dental crowns, and dental implants, among others. A complete smile makeover procedure is $5100. 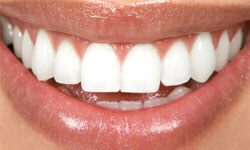 It is meticulously done by Costa Rica’s best board certified dentists. A complete smile makeover can be performed using many dental procedures including veneers, crowns, bridges, dentures, dental implants or many others. The price is typically discounted lower when having a combination of procedures. If you would like a complete smile makeover package with other procedures in Costa Rica, please go here. Complete smile makeover prices are up to 80% less in San José, Costa Rica than in the U.S. and Canada. Here are more details.